An insightful and entertaining romp through university life of the 1980s. It's also a rite-of-passage tale of growing up, however late in life that happens! Very enjoyable. 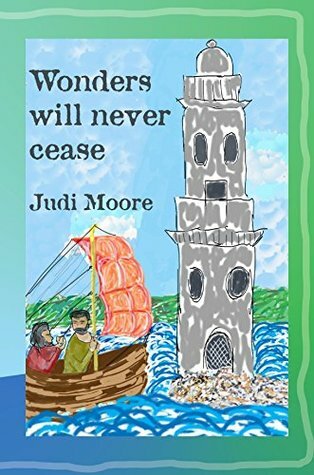 Judi Moore - My new novel, 'Wonders will never cease' is now out! It is a satire set in 1985 in London and in a distance-teaching university called Ariel somewhere up the M1. It is quite un-PC in a number of ways. 'Will the real Judi Moore please make herself known 'The Judi Moore who has written 'My First Pets' is not me. She is a US author of children's books.I published a collection of my short stories, entitled "Ice Cold Passion", in December 2015. As with all my books, it is available on paper from FeedARead (UK); Fishpond (worldwide) Waterstones online (UK); (UK and USA and almost everywhere else); Barnes & Noble (USA); The Book Depository. It is also available worldwide on Kindle from .In 2014 I published my novella "Little Mouse". Big Al (that non-pareil of US Indie reviewers) reviewed it in December 2014, gave it 4*s and said about it, inter alia "I [found] the moral dilemmas they faced in coming to their decision thought provoking and was pulling for them to succeed." The whole of the review is available on Goodreads under the "Little Mouse" listing. As is the totally spiffing review from Violet Wells (June 2015) who says, amongst other things "It has been a constant mystery to many people how passively the Jews sometimes submitted to Nazi persecution. Little Mouse tells a different story. This is the tale of an uprising. The most successful part of this novella is unquestionably the voice of young Theo. The author has pitched his childish wonder and fear on a beautifully crafted resounding note. "The novella shares a time-line with my first novel "Is death really necessary" (published in 2009). The novella is set in the recent past, the novel in the near future. The novel is also enjoyable as a stand alone work. About the author? I live with my good friend dichotomy and a lot of critturs (to most of whom I am allergic) in an old cottage 400 yards from the sea in Dorset. Previous readers of my blurbs will note that I have, at last, escaped back to the primordial ooze that I so missed during the many years I lived in Milton Keynes in the middle of England, which is as far as you can get from the sea in any direction.Workwise, I had a second (or was it third?) career with the Open University between 1980 and 1997, when I left to write full-time. In 2006 I returned to the OU as a part-time Lecturer in Creative Writing, which was a tremendous experience and great fun. I retired from tutoring in 2013 - which means I am able to crack on with my own writing again.